RH Factor’s Stage B 5.1 monitoring system employs Genelec 8260A Tri-Amplified DSP Monitors in an LCR configuration, a pair of 8240A Bi-Amplified DSP Monitors in the rear and a Genelec 7270A Active DSP Subwoofer. NATICK, MA, June 22, 2011 — As the film and TV industry adapts to rapidly changing trends, RH Factor, a leading independent audio post house in Burbank, California, finds a reliable, constant standard for performance and sound quality in Genelec Active Monitoring solutions. RH Factor, with TV credits such as Harry's Law, Raising Hope, The Middle and Breakout Kings, as well as landmark programs including Boston Legal, CSI, My Name Is Earl and Ally McBeal, in addition to numerous independent feature films, has just upgraded its facility’s Stage B – a 5.1 mix room that is principally used for episodic television – and the room’s centerpiece is a Genelec DSP Active Monitoring System setup. 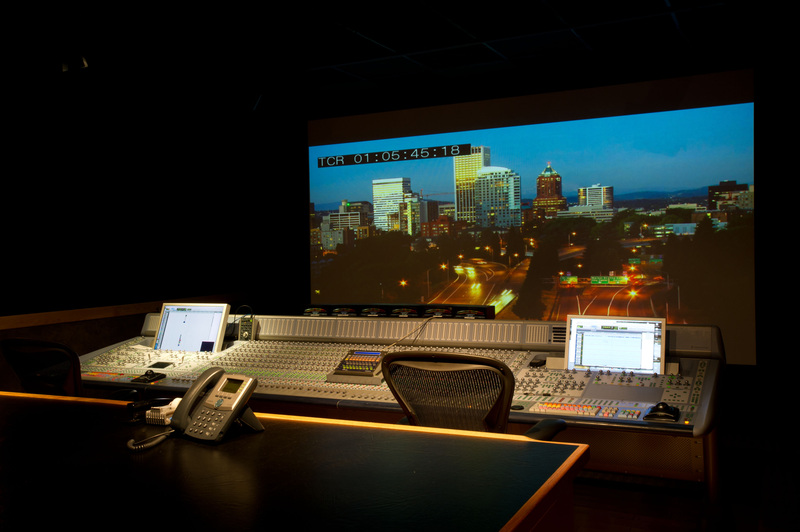 Additionally, Genelecs continue to serve as the primary monitoring systems for the other three studios in the 8,000-square-foot facility, which includes a feature mix stage, a television mix stage, a layback studio and a Foley/ADR stage. Formerly employing a trio of Genelec 8250A Bi-Amplified DSP Monitors as its LCR in Stage B’s 5.1 system, RH Factor made the decision to move to a trio of the larger 8260A Tri-Amplified DSP Monitors. The remainder of the system – including a pair of 8240A Bi-Amplified DSP Monitors in the rear and a 7270A Active DSP Subwoofer – remained unchanged. For more information, please visit www.rhfactorsound.com and www.genelecusa.com. Photo Caption 1: RH Factor’s Stage B 5.1 monitoring system employs Genelec 8260A Tri-Amplified DSP Monitors in an LCR configuration, a pair of 8240A Bi-Amplified DSP Monitors in the rear and a Genelec 7270A Active DSP Subwoofer.